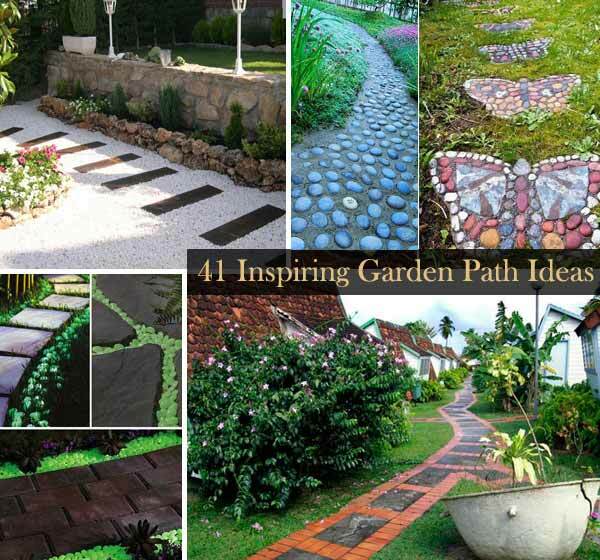 I have moved recently and one of my projects is that I want a whole walkway of stepping stones through a back section of a flower and bush garden that leads to a bench so I can sit and enjoy a cool ice tea this summer under my big tree. I came across this roundup and I just loved it because it was quite detailed and lots of pictures. Have a look through this list of great ideas and I am sure you are going to put it to use the same as I am.